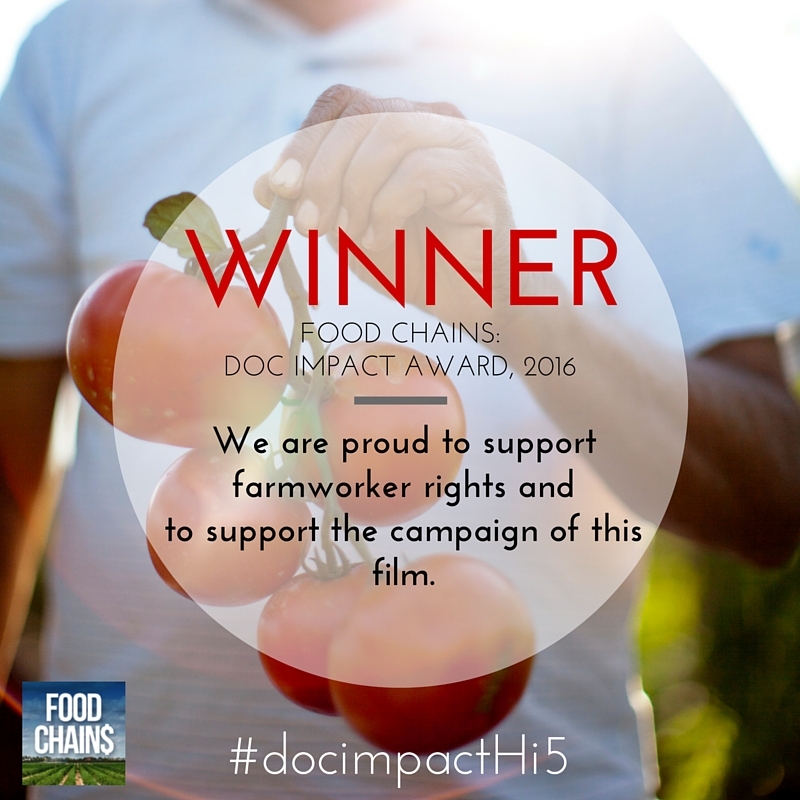 We are so thrilled to announce that FOOD CHAINS won the prestigious DOC IMPACT AWARD from the BritDoc Foundation this year! We couldn’t have achieved this without the support and dedication of each and every one of you. From our theatrical launch in November 2014 onward, we bravely marched together with the Coalition of Immokalee Workers in their fight against Publix, Wendy’s and Kroger; we hosted discussions on campuses and with Fair Food Program signatories like Bon Appetit Management Corporation, Whole Foods and Compass Group; we raised money and our voices for farmworker rights; we flexed our buying power – and we saw the effect this had on companies like Giant and Stop and Shop. This award is for the farmworkers of America – it’s for low-wage workers around the world – it’s for all of us. Help us celebrate the farmworkers! TWEET THIS AND SHARE THE GRAPHIC BELOW TO HELP US TELL THE WORLD.